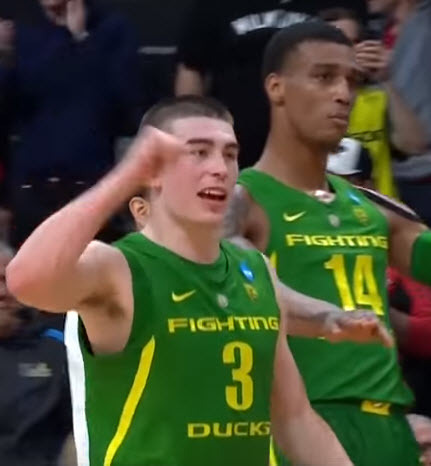 Friday night, as the Ducks waited for the final seconds to expire on a dominating 72-54 victory over the fifth-seeded Badgers, one thing became exceedingly clear. This team is dangerous — very dangerous. It’s time to put the “underdog,” “feel-good,” “ragtag” narrative to rest. The Ducks are a talented, hungry and skilled group of players, with a coach who is proving that he is one of the best in the country. They took some time to hit their stride, but now the whole country is seeing what the they are capable of when everything comes together. 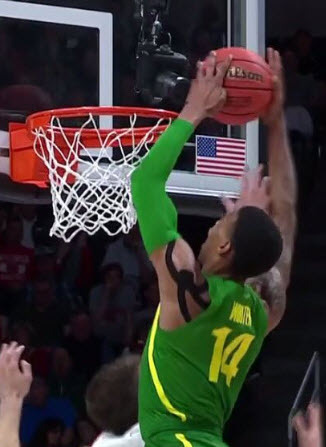 Wisconsin witnessed this firsthand, as Oregon made their trip to San Jose a short one. And if the Ducks can keep playing the way they did on Friday, the Badgers won’t be the last team that they send packing. The first half of the game was a defensive struggle, as expected. In a meeting between two of the top-scoring defenses in the country, open looks and easy baskets were hard to come by for both teams. Pritchard carried the Ducks’ offense in the first half. But there were signs early on that the Ducks were just warming up. Payton Pritchard gave the Badgers fits with his drives to the basket and mastery of the pick-and-roll game. The shots weren’t falling at times, but many, including those at the studio for the halftime show, sensed an oncoming second-half surge by the Ducks. And surge the Ducks did. Not only did they turn up the heat on defense, smothering Badger star Ethan Happ, and daring Wisconsin’s role players to take low-percentage, long-range jumpers, but they opened up things on the other end of the floor as well. Pritchard continued his offensive mastery, but he began to get his teammates involved as well. Paul White, in particular, exploded, scoring all of his 14 points in the second half. He knocked down a couple of three-point shots, which not only fueled a raucous crowd, but helped open up the floor to give a penetrating Kenny Wooten and others room to dominate inside. Wooten was an unstoppable force on Friday. But Wooten’s biggest contributions came on the defensive side of the ball, where his effort and athleticism served as the preeminent driver of the Ducks’ success. He also delivered the signature moment of the game, which will surely be replayed by Oregon fans for months to come. Shortly after getting chewed out by the commentators for his trash talk after a resounding block on Happ, he backed up his chatter with a ferocious slam, following a terrific feed from Pritchard. Wooten’s getting hot at the right time. His length and athleticism make Oregon’s defense darn near impenetrable, and his skill set is beginning to translate to the other end of the floor as well. Reporter Kenny “The Jet” Smith gave Wooten high praise, comparing his game and traits to those of Duke phenom Zion Williamson. While Wooten’s not quite on the same level as Williamson, he has comparable physical gifts. And when he’s dialed in, the Ducks are awfully hard to beat. With the Badgers out of the way, the Ducks have an interesting road ahead of them. Tonight, they’ll take on 13th-seeded UC Irvine, champions of the ever-imposing Big West conference. If you’ve never heard of the Anteaters, you’re not alone. Not many people picked them as a potential Sweet 16 finalist, but here they sit, just one win away from Cinderella status. Don’t let their ranking fool you; the Anteaters are a high-quality opponent on an even more impressive winning streak than the Ducks. Known for its dominating defense, UC Irvine has won 17 straight games, and just knocked off one of the best teams that the Big 12 had to offer. UC Irvine is looking to continue its own winning streak. It would be easy for the Ducks to overlook UC Irvine, although they’re only ranked a spot ahead of them. 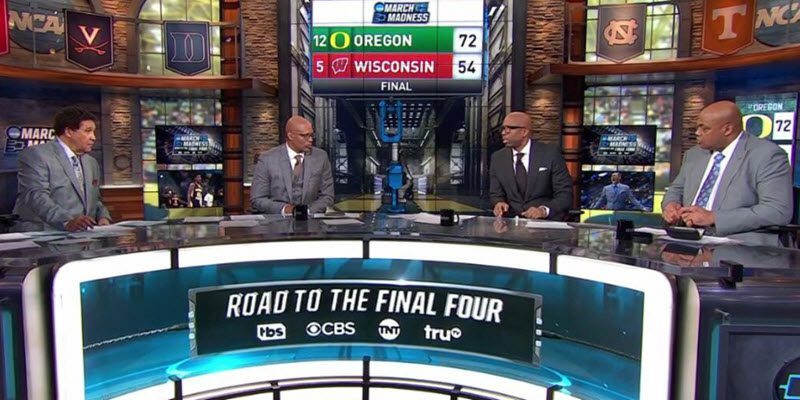 Many are now predicting Oregon to make a deep tournament run: Sportsline has the Ducks as five-point favorites (as of Saturday morning)– a sign that the oddsmakers don’t expect the Anteaters to continue their incredible streak. But this is March, and if there’s one constant, it’s to expect the unexpected. Still, as fans, it’s tempting to look at the road ahead. If the Ducks do get past UC Irvine, it’s not inconceivable to envision them making it to the Elite Eight or even the Final Four. There’s not a team in their region that the Ducks don’t have a realistic chance against, and some would argue that there’s no team in their region that the Ducks wouldn’t be favored against. One thing’s for sure though: nobody wants to face Oregon right now. What seemed like a pipe dream just a few weeks ago has a legitimate possibility of becoming a reality. The Ducks are indeed dancing in March, and if they continue to play at this level, they’ll be dancing for a while longer. Editor’s Note: This article will serve as FishDuck.com’s “Gameday Thread” for both the Men’s and Women’s NCAA Tournament matchups this evening. We welcome you to not only share your thoughts about the article in the comments section below, but feel free follow this thread throughout the day to post your general thoughts and updates about the games as they occur. Go Ducks!